The Boer Wars were devastating to both sides - discover Wilbur’s research into this tumultous period, which formed the background for The Sound of Thunder. Sean returns to the Boer capital Pretoria in 1899 after four years in the wilderness and finds the city preparing for war against the British for the second time - the second Boer War. In 1867, however, everything changed when diamonds were discovered at Kimberley in the Orange Free State. This caught the attention of the British who swiftly annexed West Griqualand, the region where the diamonds had been found. Then in 1877 the British decided to annex the Transvaal Republic as well, as part of a move to create a Federation of South Africa united under British rule. The Boers of the Transvaal reluctantly went along with the annexation at the time as they were suffering constant disputes with their powerful Zulu neighbours and the protection of the British army was helpful. Once the British had defeated the Zulus in the Anglo-Zulu War of 1879, and the Zulu threat had been removed, Boer resentment at the annexation resurfaced and the Transvaal Republic formally declared independence from Britain again in December 1880. And the Boers were ready to fight for it. The Boer's tactics in pursuit of independence were simple and were helped by the fact that the British were hopelessly unprepared for a war. First the Boers surrounded the sparsely manned British garrisons in the Transvaal, knowing that they could quickly be starved into submission. Then they sent their main body of men to stop the British relief force, under the command of the governor of Natal, Major-General Sir George Pomeroy Colley, from marching into the Transvaal from Natal. The Boers won a succession of skirmishes culminating with victory at the Battle of Majuba Hill on the Transvaal border with Natal in February 1881, at which nearly half the British force, including General Colley, were killed. The British government back in London concluded that the Transvaal, a bleak and unproductive place of no particular value, was not worth committing more money and troops to win back. In August 1881 they signed the Pretoria Convention, restoring self-government to the Transvaal Republic under British suzerainty, whereby Britain retained control of the Transvaal's foreign affairs. Eventually, at the London Convention in 1884, Britain agreed to relinquish suzerainty altogether and gave what was now to be called the South African Republic complete internal self-government. Two years later everything changed again. In 1886 the largest gold field in the world was discovered beneath the Witwatersrand, just forty miles south of the Transvaal's capital Pretoria. Suddenly the Transvaal was worth having, with the potential to become the richest and most powerful nation in Southern Africa. Not only did the British want to get their hands on the gold, they also wanted to stop the government of the Transvaal making deals with rival colonial powers, such as the Germans in South-West Africa, who might challenge Britain's supremacy in the region. The Witwatersrand gold strike attracted prospectors to the Transvaal from all over the world, a great many of them from Britain. Known to the Boers as uitlanders, they soon outnumbered their hosts and the Boer government became nervous of losing control of the Transvaal to the newcomers. They refused to give the uitlanders full voting rights and this gave the British the excuse they were looking for. In December 1895, with the tacit approval of the Secretary of State for the Colonies, Joseph Chamberlain, the diamond magnate Cecil Rhodes, who was Prime Minister of the Cape Colony at the time, made the first move, sponsoring a raid into the Transvaal by a force of 600 armed volunteers, under the colonial administrator Leander Starr Jameson. The raid was designed to spark an uprising by the uitlanders in Johannesburg but the uprising never happened. Instead, the raiders were captured and imprisoned in Pretoria. The Jameson Raid was something of an embarrassment for the British and Cecil Rhodes was forced to resign from his position as Prime Minister of the Cape Colony. What the raid did achieve was to harden the determination of the Boers to resist the British. 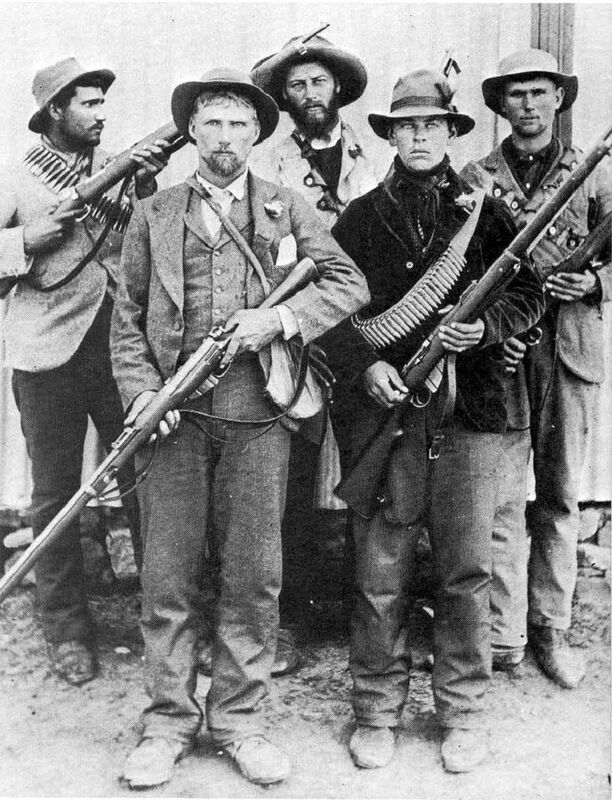 They point blank refused to agree to British demands for full voting rights for the uitlanders and in October 1899, in alliance with the Orange Free State, they issued an ultimatum insisting that all British troops be withdrawn from the two Boer republics within 48 hours or the South African Republic would declare war on Britain. As expected the British refused the ultimatum and on 11th October 1899 war was duly declared. There were three distinct phases to the Second Boer War, the first being the Boer offensive, which went very much in the Boer's favour. Ever since the Jameson Raid the Boers had been preparing for war, working out an effective military strategy and arming their commandos with the latest weapons such as clip-loading Mauser rifles that fired smokeless ammunition and hence didn't give away their position. As soon as war was declared the Boers moved swiftly, marching in force into Natal and the Cape Colony to lay siege to the town of Ladysmith and the British garrisons at Kimberley (where Cecil Rhodes was trapped, much to the Boer's delight) and Mafeking, bottling up the soldiers and everyone else within the walls of these towns and effectively removing hundreds of troops from the fight. As at the beginning of the first Boer War the British were unprepared and short of men. When they attempted to relieve the besieged garrisons they were defeated by the Boers at three major battles in quick succession, at Stormberg while trying to win back a strategic railway junction, at Magersfontein while endeavouring to relieve Kimberley, and at Colenso (q.v), during what became known as Black Week, 10th – 15th December 1899. Another disastrous defeat came in January at Spion Kop (q.v), where one of Britain's senior generals was killed. 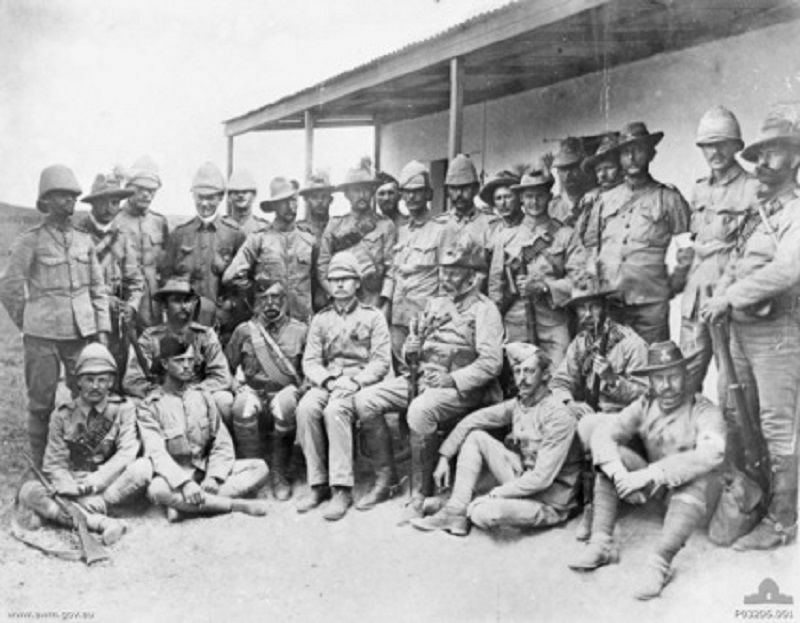 There were several factors behind the Boer successes in this first phase of the war. To begin with the British underestimated the Boers, not imagining that a bunch of ill-disciplined farmers could pose any threat to the might of the British army. But the Boers were fighting on their own territory, which they knew like the back of their hands, and they had a first rate scouting and intelligence network covering the whole of the Transvaal and the Orange Free State. Having spent their lives hunting with single-shot breech-loading rifles such as the Westley Richards or the Snider-Enfield they were excellent marksmen, skilled at concealing themselves and waiting patiently for their prey before dispatching him with their first shot. And they were mounted, while the British forces were predominantly infantry. In the second phase of the war the British began to turn things around. Some 180,000 soldiers and colonial volunteers were sent to South Africa under the command of Lord Roberts, the largest force Britain had ever sent overseas. His competent leadership, allied to the fact that the British had finally worked out how to combat the Boer tactics, plus sheer weight of numbers, enabled the British to begin gaining some successes. 1900 after being blockaded for 124 days and Ladysmith two weeks later after 118 days. Mafeking, where Lord Baden-Powell had put up a staunch defence, was finally relieved in May after a siege lasting 217 days. By March 1900, Lord Roberts had taken Bloemfontein, capital of the Orange Free State, and the republic was immediately annexed by the British and renamed the Orange River Colony. By the beginning of June, Johannesburg and Pretoria had been captured. On 1st September the Transvaal was annexed and the second phase was over. But not, as the British assumed, the war. 'They will scatter - break up into their traditional fighting units, the commando. In doing so they will avoid the necessity of dragging a supply column with them. They will avoid battle, run from it and swing round to jab at the flanks, then run again. During the latter half of 1900, with both republican capitals in British hands, it became clear that the British were winning the war and many Boers surrendered, earning themselves the name hendsoppers or 'hands uppers'. Others opted to continue the fight, using guerilla tactics, with quick strike raids against strategic infrastructure, railways, supply lines and communications designed to disrupt British army operations. Initially the British were uncertain how to handle this new tactic whereby the Boers would appear out of nowhere and cause as much damage as possible, then withdraw and vanish before reinforcements could be summoned. Lord Kitchener, who had taken command of the British forces in South Africa after Lord Roberts returned to Britain assuming the war was won, responded initially to the Boer's guerilla tactics by putting up hundreds of blockhouses and miles of barbed wire fences to protect the railway lines and restrict the Boers' freedom of movement. Then he embarked on a 'scorched earth' policy across the veld, aimed at depriving the Boer fighters of food and shelter. Livestock was slaughtered, crops were destroyed, farms and homesteads were burned down, civilian farmers and their families were rounded up and put in detention camps, often in appalling conditions. Kitchener's ruthless methods caused outrage, even amongst English-speaking South Africans who despaired at the sight of their country being laid waste. But eventually the Boers realised that it was fruitless 'to sacrifice the Afrikaner nation for the sake of independence' and on 31 May 1902 hostilities were ended with the signing of the Treaty of Vereeniging in Pretoria. The Boer Wars had far reaching consequences. Firstly, they were fought with a new kind of weaponry that changed the nature of warfare. The introduction of accurate long range rifles meant that you could pick off your enemy from a safe distance and there was no longer a need for hand to hand fighting - bayonets became obsolete and marksmanship became more important than swordsmanship. The traditional military practices of discipline, formation and synchronized firepower, at which the British excelled, were designed for pitched battle, which the Boers avoided at all costs. And so the British had to give up their tried and tested ways of fighting. 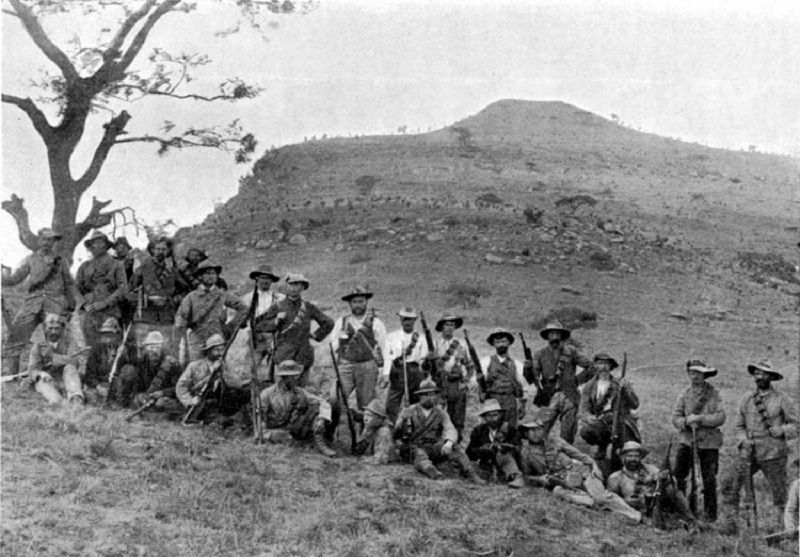 The Battle of Laing's Nek, for instance, during the First Boer War, was the last battle at which as British regiment carried its regimental colours into battle. And also during the First Boer War it became clear that the famous British redcoat had become a liability, making British soldiers an easy target for snipers. Khaki, as worn informally by the Boers, soon became the norm for the British army uniform. Instead of in regiments, the Boers operated in military units called war commandos, based on a system that dated back to the days of the Dutch Cape Colony, when the Dutch East India Company introduced ‘Commando Law', whereby burghers or citizens were required to be ready with a horse and a gun to join their local militia, or commando, to help defend their community in times of danger. Each town or district would raise its own commando, which was headed by a Commandant elected from within the unit. Since they were usually civilians, the commandos had no uniforms but wore their khaki-coloured farming cloths, which were comfortable and blended in with the landscape, affording them excellent camouflage. They could be mobilised almost instantly, could travel around quickly and quietly unencumbered by any baggage train, and could live off the land, catching their own food and obtaining supplies from local farmers. As hunters they were used to moving stealthily and relying on their own initiative in responding to situations in the field. These commandos proved very effective against the native Africans when the Boers were establishing their territories in the Transvaal and were equally effective against the British in the Boer Wars. For two years during the Second Boer War, after the British had captured the republican capitals, 75,000 Boer commandos kept 450,000 British troops fully stretched, earning the grudging admiration of their foe. So much so that when the British decided to create a new style of small, highly mobile combat units for surprise raids and reconnaissance in 1940, during the Second World War, they called them commandos. Almost 20,000 British troops and 14,000 Boer troops were killed in the Boer Wars. Worse, some 25,000 Boer women and children died in the detainment camps. The Boers, the English-speaking South Africans and the British public at home had been horrified by Kitchener's scorched earth policy and it was understood that everyone, Boers and English-speaking settlers and native Africans would need to settle their differences and work together to rebuild South Africa. The Treaty of Vereeniging promised the Boers three million pounds in reparations and eventual self-government, which was duly granted in 1906. Despite the fact that as many as 100,000 native black Africans had fought in the war for both sides, many more thousands had lost their farms and livelihoods, and some 14,000 had died in the detainment camps, the Boer War was regarded as a 'Gentleman's War' between whites. Native black Africans were kept out of the negotiations, mainly at the insistence of the Boers, who had always resisted any kind of equal rights since the first arrival of the Dutch in South Africa in the 17th century. In 1910 the Boers and the English-speaking South Africans combined to form the Union of South Africa, with the Boer general Louis Botha as its first President. The Boers had cleverly weighted the constitution in their favour and slowly took control of the Union, creating policies that entrenched white rule and limited native black African involvement in the running of the country. While there were plenty of people in Britain, including Lloyd-George, who supported the rights of native black Africans no-one was prepared to 'interfere in the internal policies of a self-governing state', and the scene was set for the introduction of the policy that would dominate South African politics for most of the 20th century - apartheid.